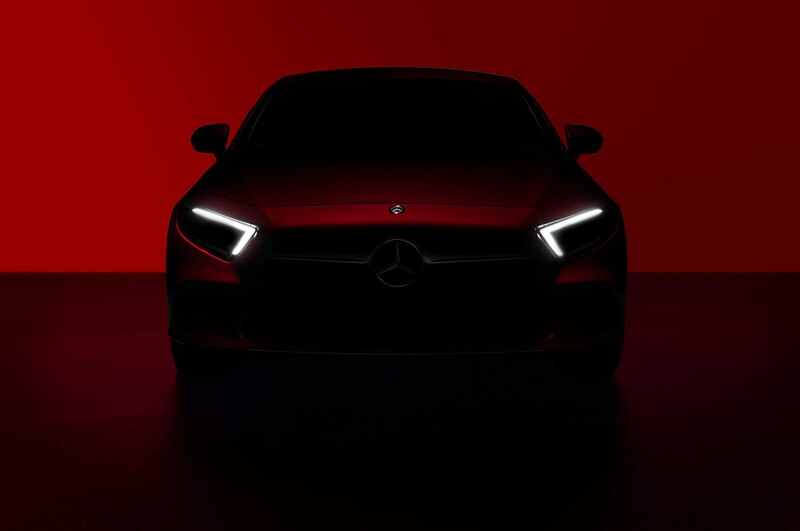 The dark teaser image reveals part of Mercedes’ signature diamond grille pattern flanked by bright inward pointing LED light strips that line the LED headlights. 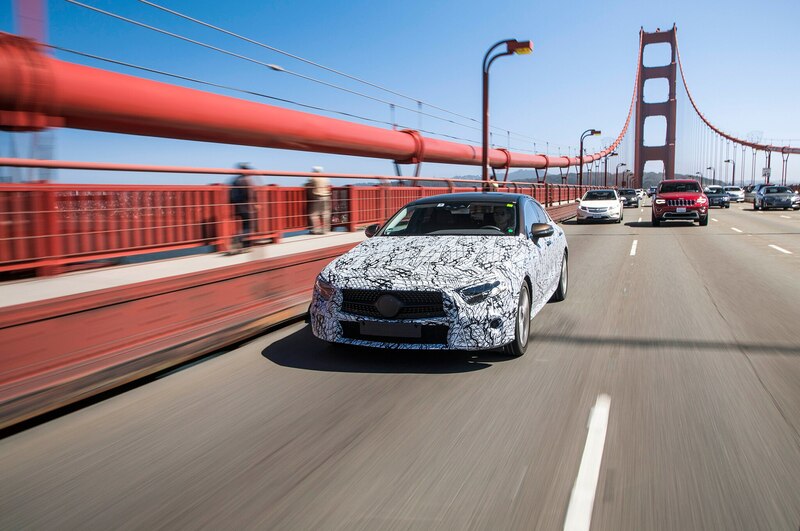 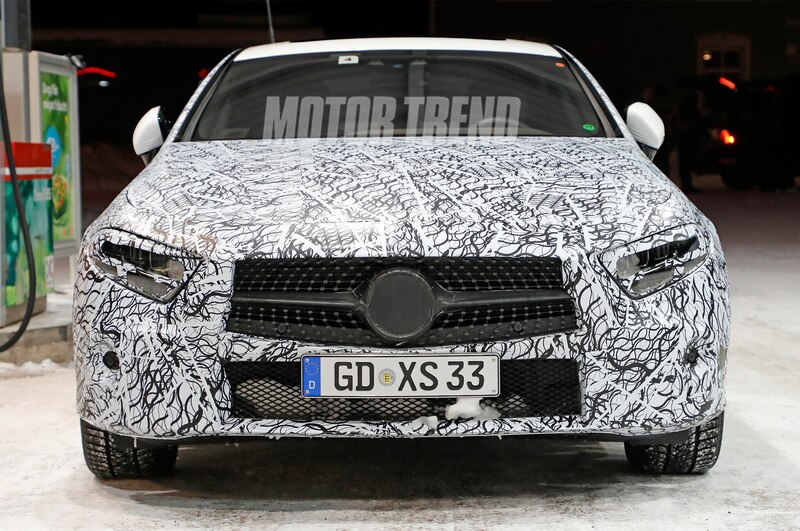 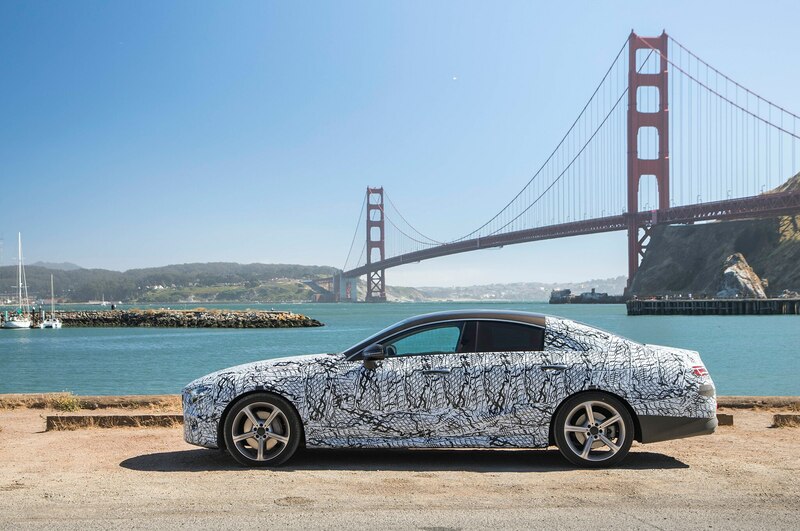 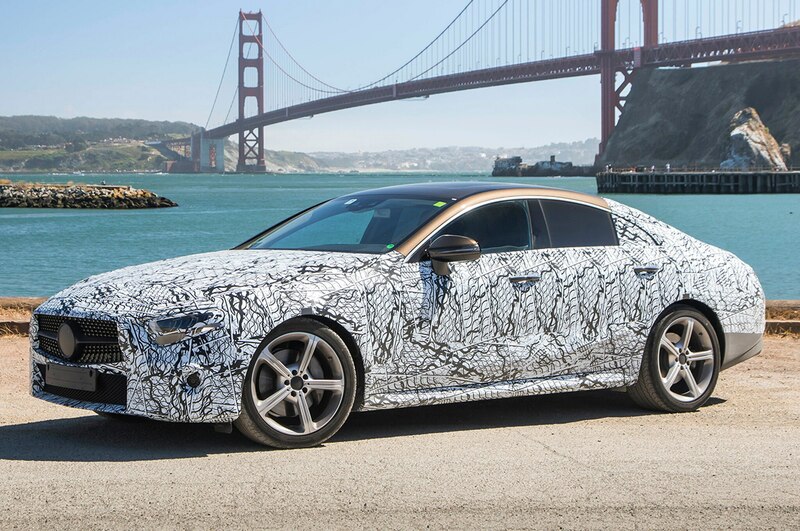 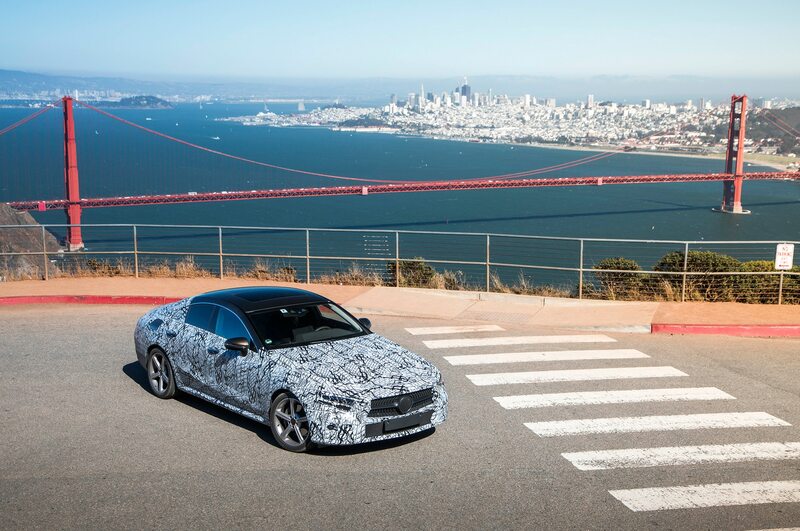 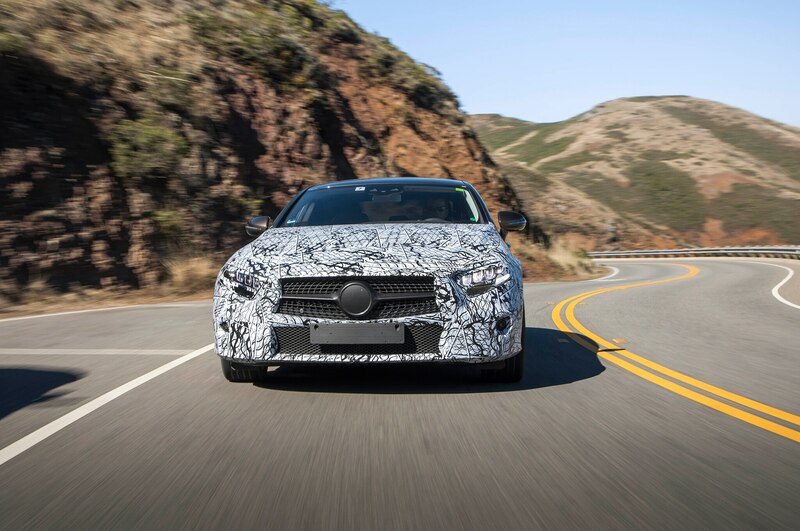 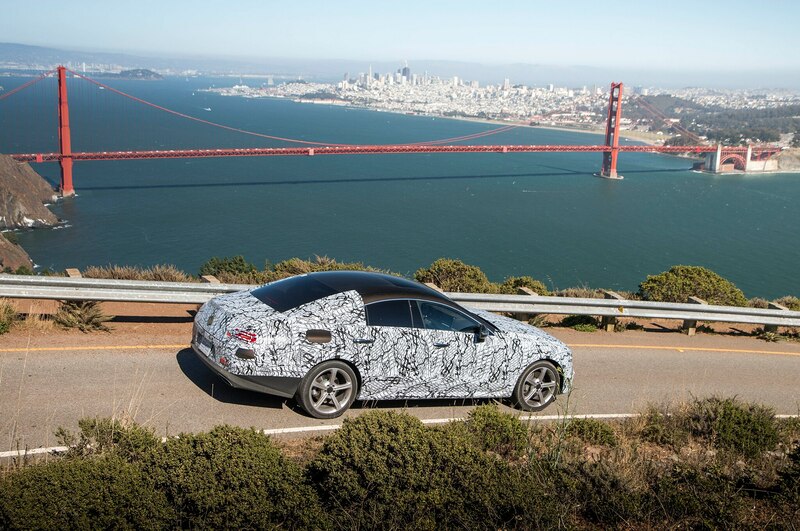 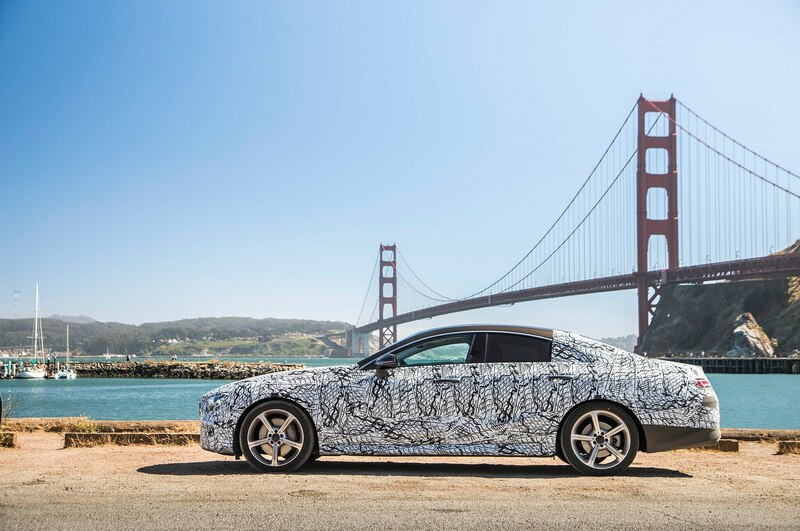 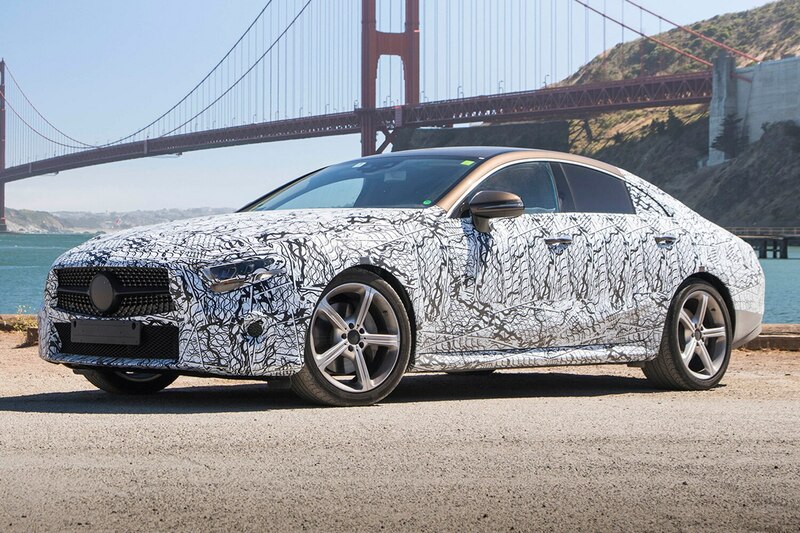 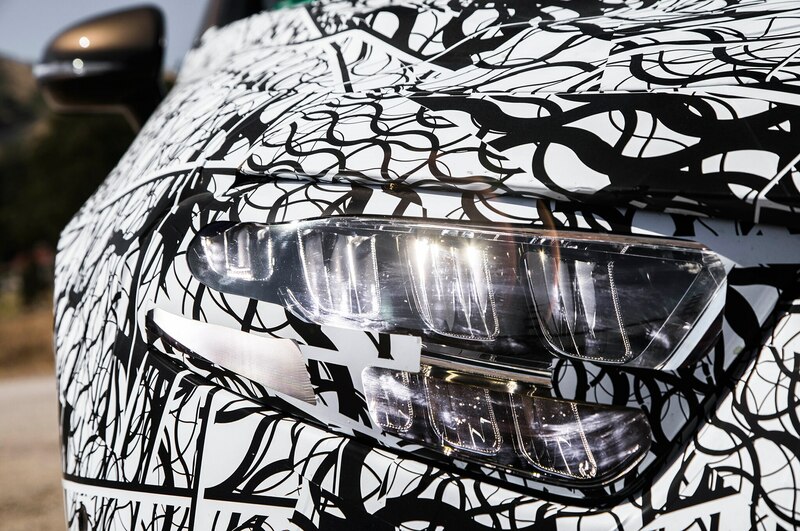 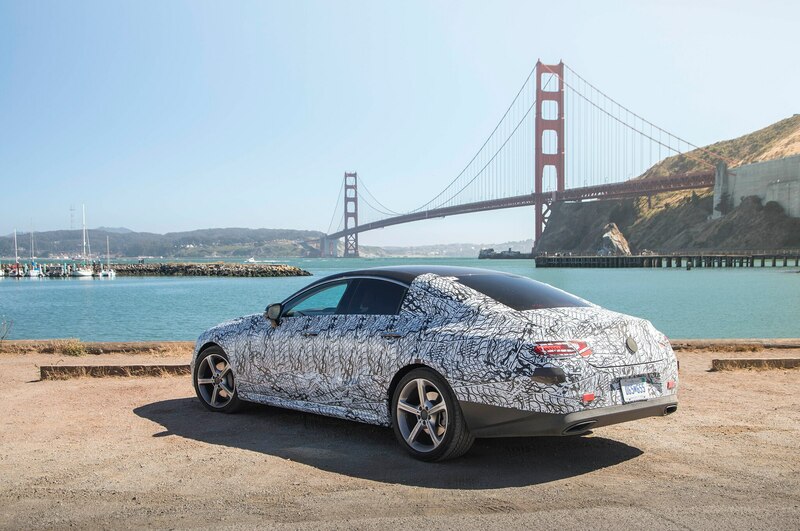 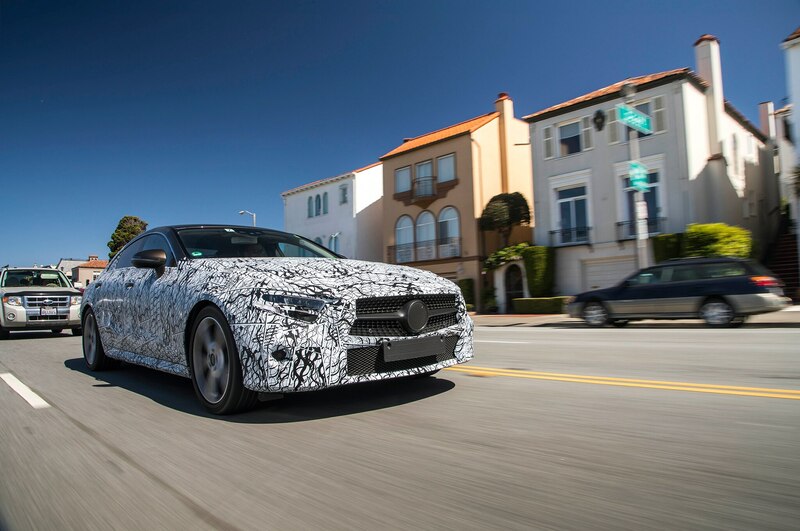 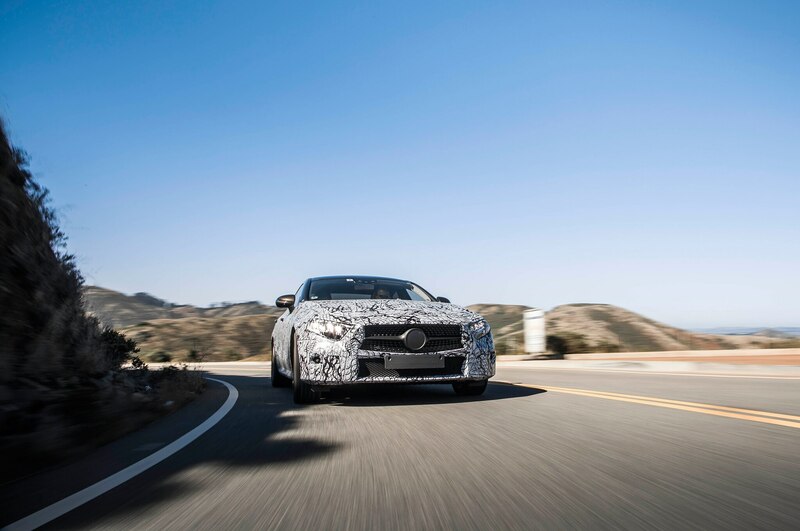 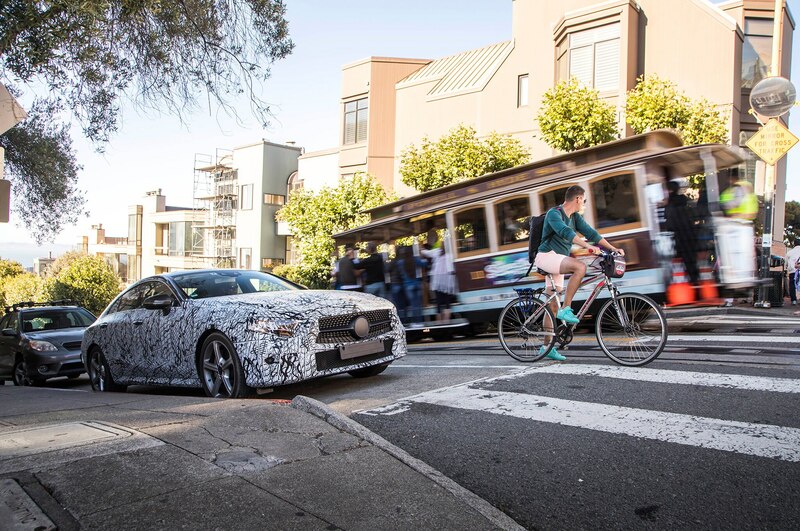 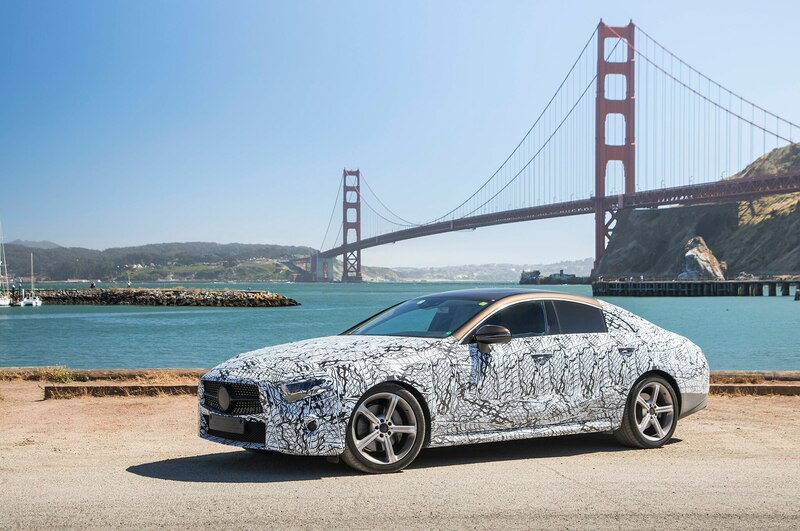 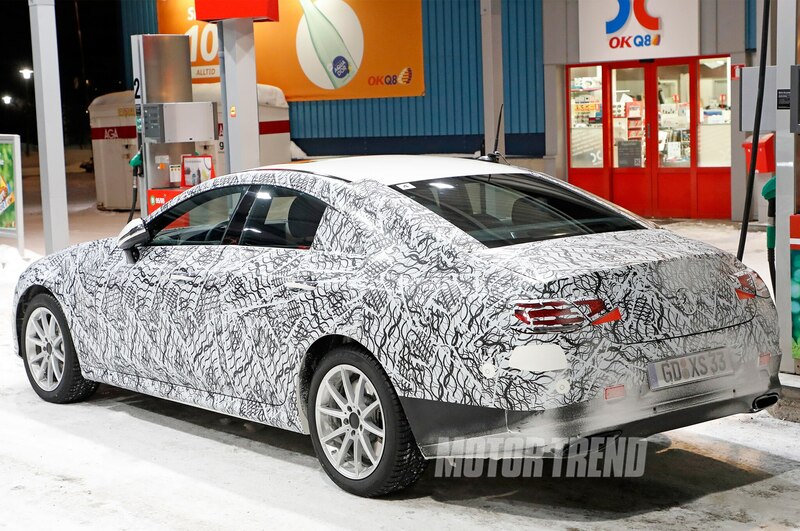 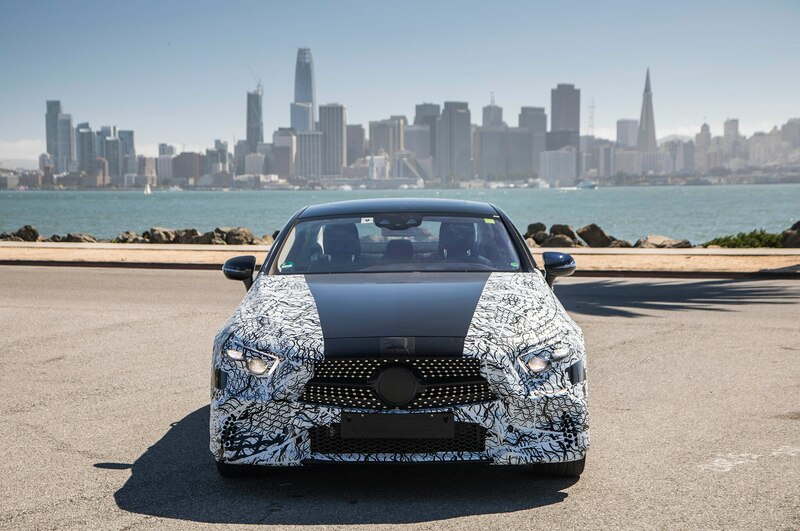 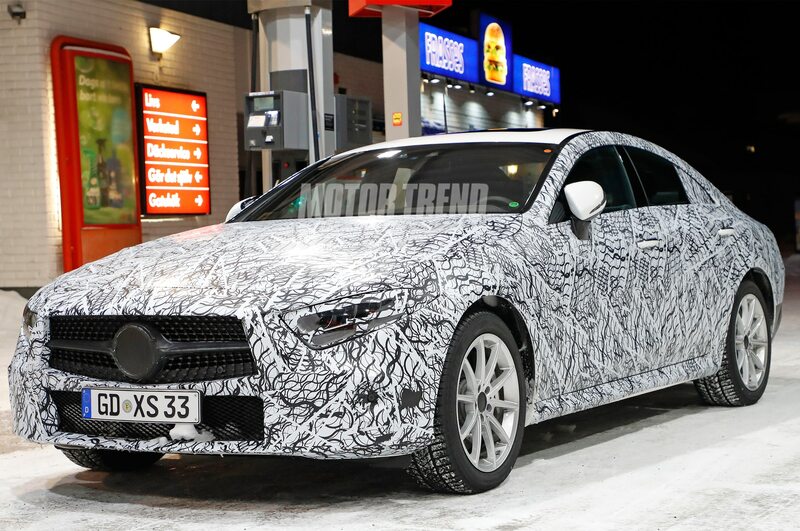 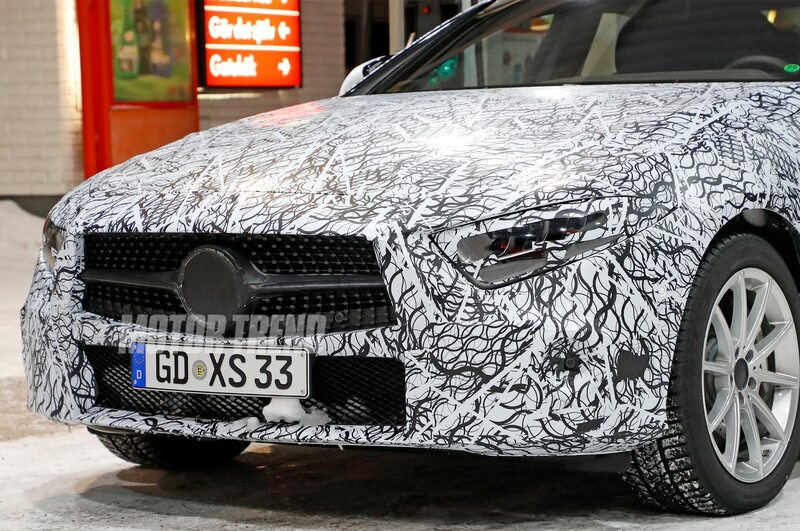 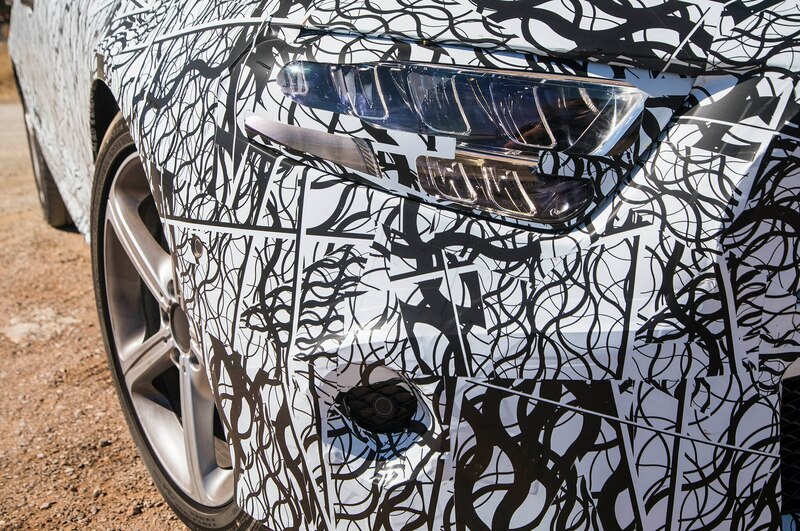 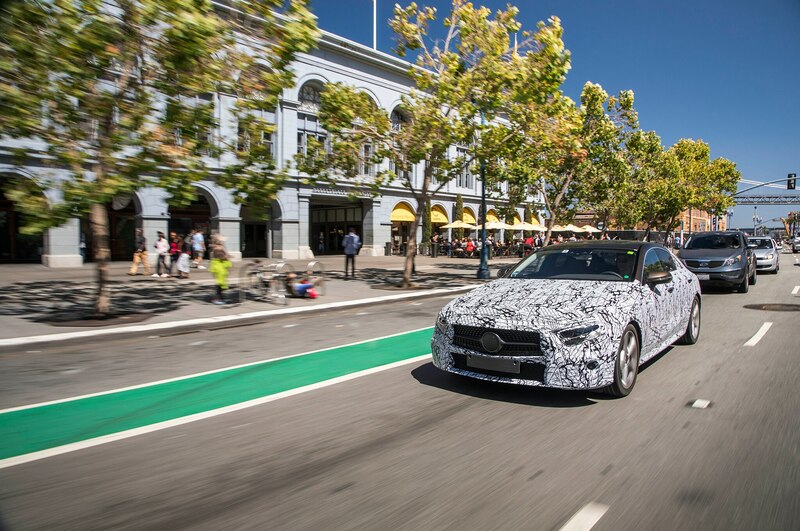 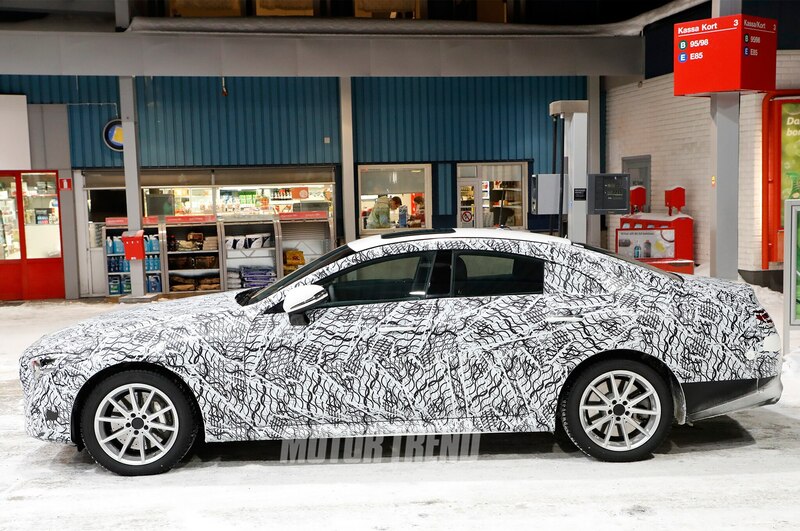 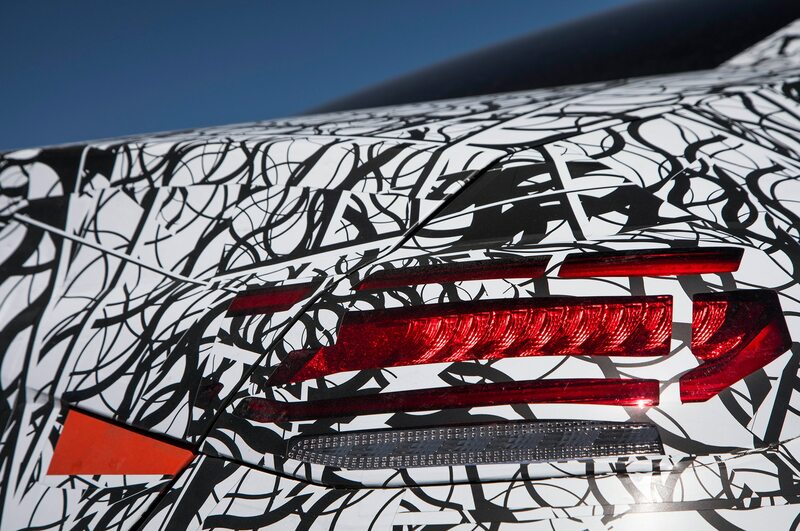 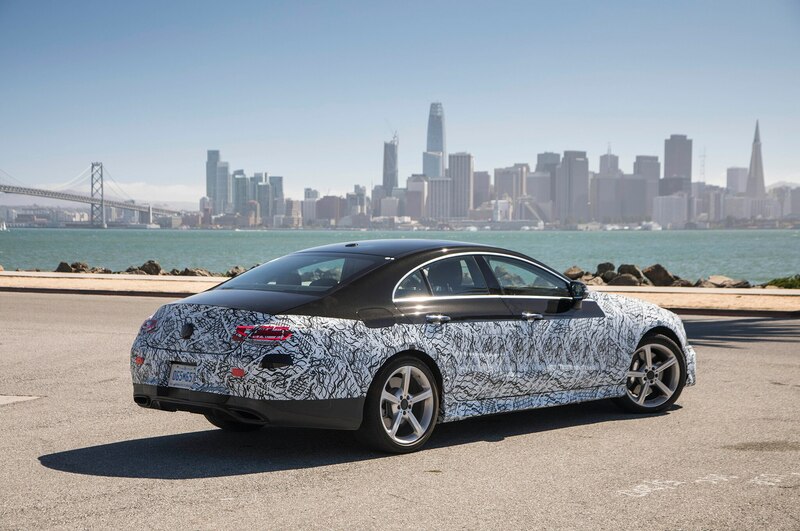 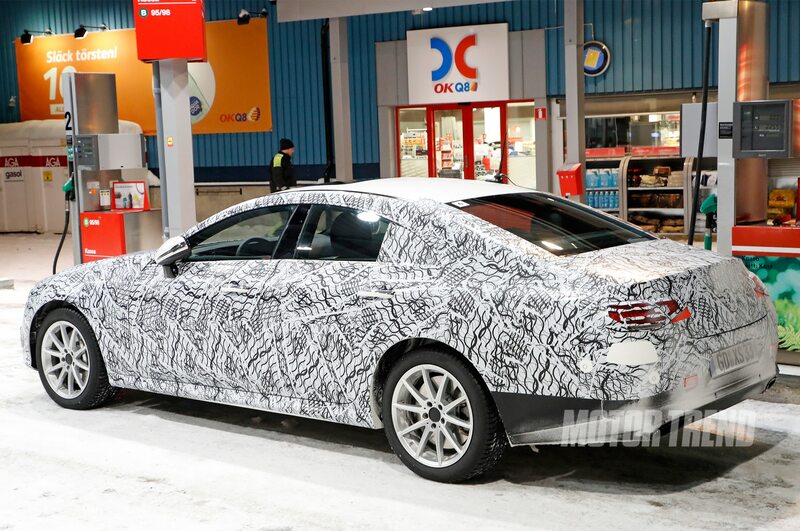 Fortunately, Motor Trend recently drove the redesigned CLS prototype and even though it was mostly camouflaged, we can see much more of the design elements than the teaser shows. 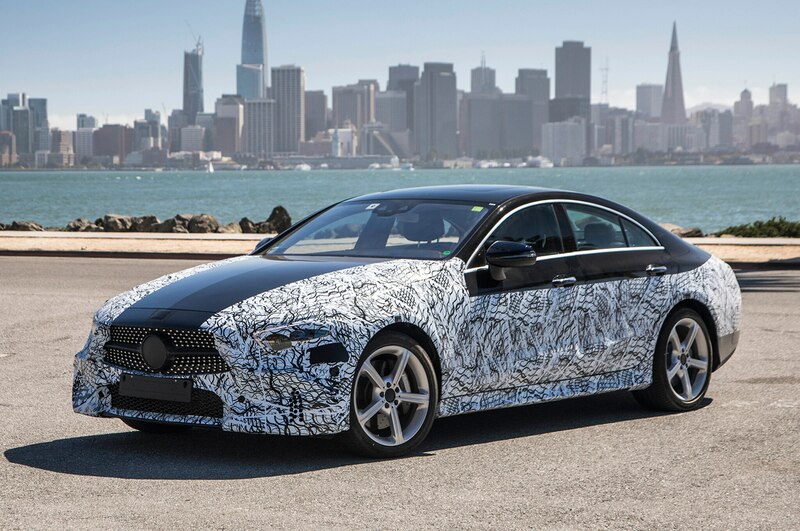 Taking a design cue from the original CLS, we can see the return of one long sweep of the side and the addition of more aggressive shoulders and a tweaked trunk lid edge. 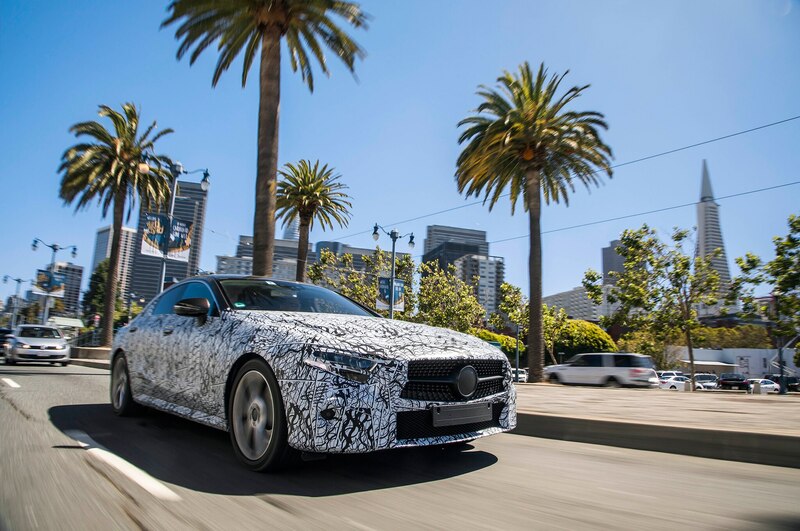 Inside, the driver will be greeted by a fully digital instrument panel and integrated large center display screen, the same impressive unit found in the S-Class. 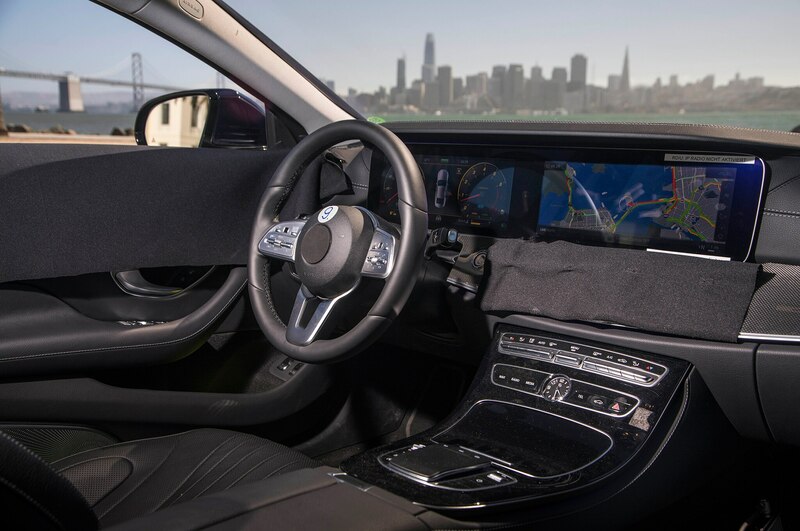 A 64-color interior ambient lighting system and carbon-fiber-looking woven steel matrix inlays that line dashboard and door panels complement the luxurious interior.